French Landscape Painting with River. Large Framed Original Art by Pierre Chauvet. 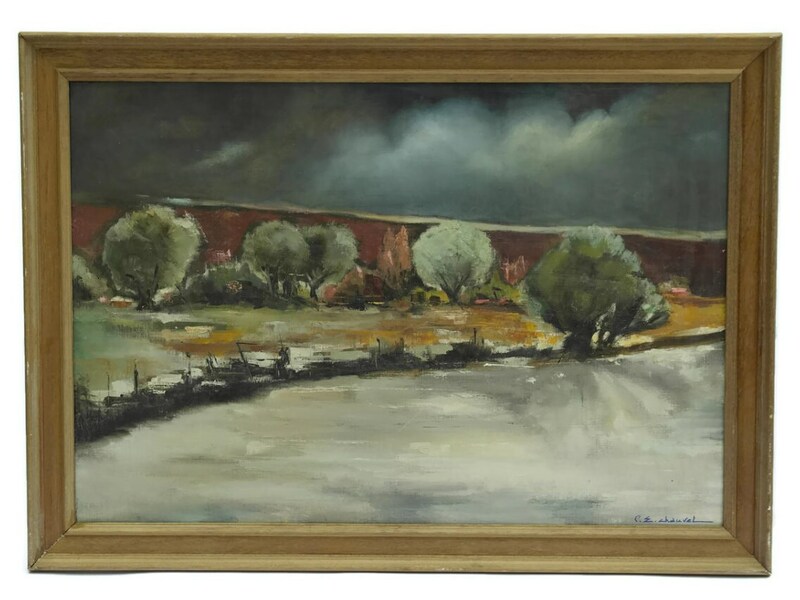 A large landscape painting by French artist Pierre Eugene Chauvet (1921 - 2004). 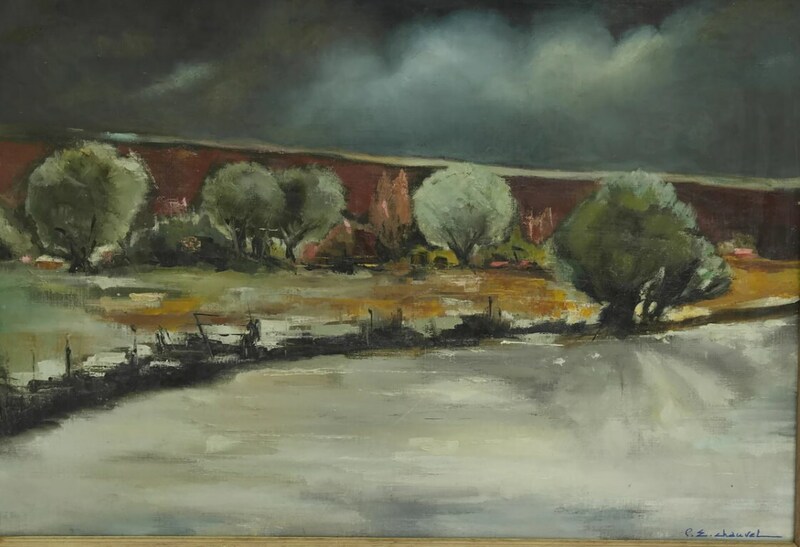 The work depicts a landscape with a river flowing through and a dark, overcast sky. It has been painted in oils on canvas in Chauvet's expressive style using a dramatic palette of colors. 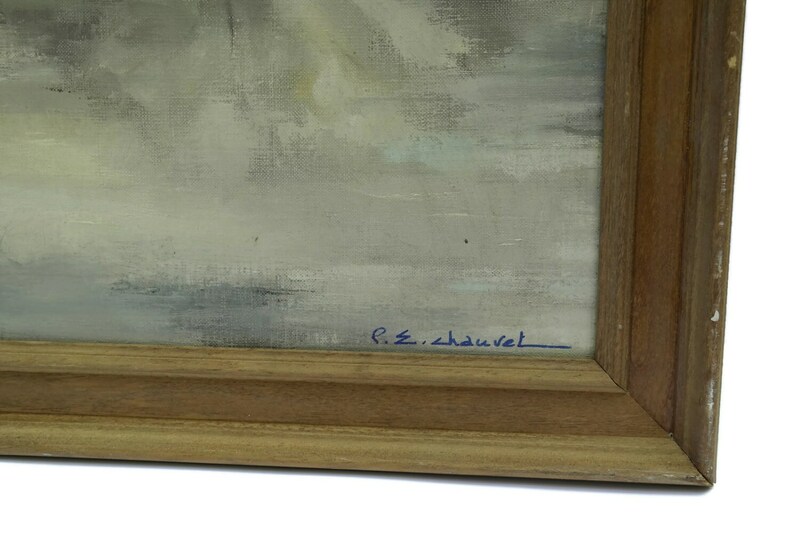 The canvas has been signed by the artist and framed in a wooden frame. Frame Size: 32" wide x 23" high (82 cm x 58 cm). Image Size: 28" wide x 19" high (72 cm x 48 cm). 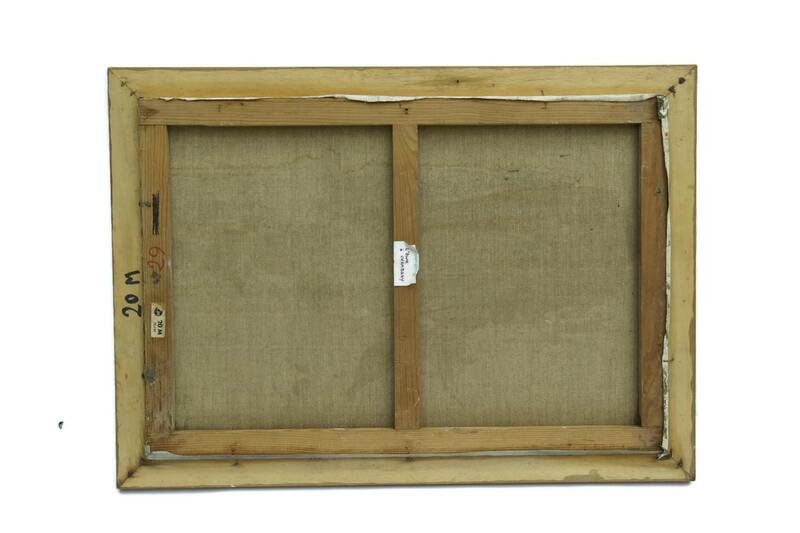 CONDITION: The French landscape painting is in very good condition. Hanging hardware is not included. 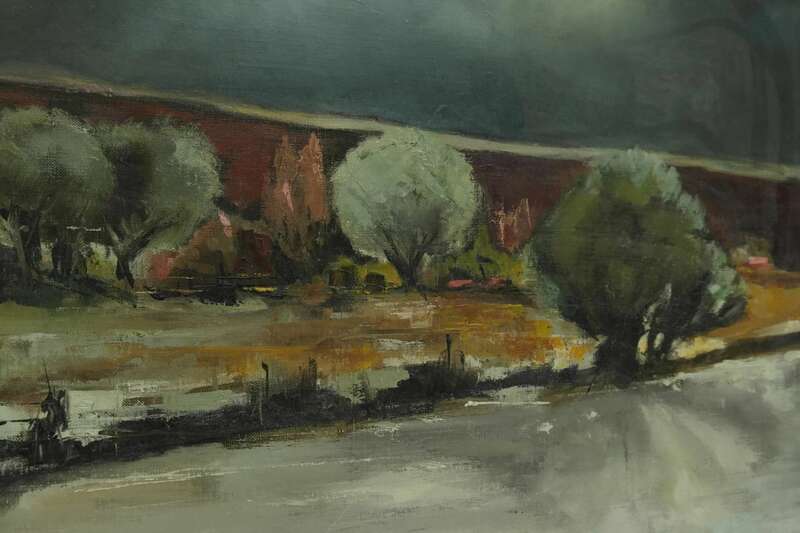 Item: French Landscape Painting with River. Large Framed Original Art by Pierre Chauvet.